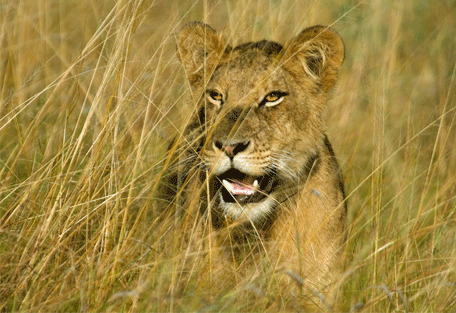 Queen Elizabeth National Park, named after Queen Elizabeth II, is Uganda's big game safari capital and the title is well-deserved. 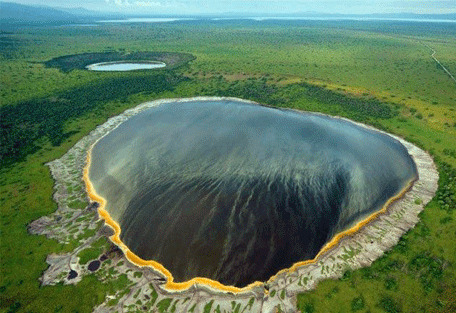 It is located in the south western part of the country and encompasses a number of significant wildlife reserves, river channels, volcanic mountains and crater lakes. 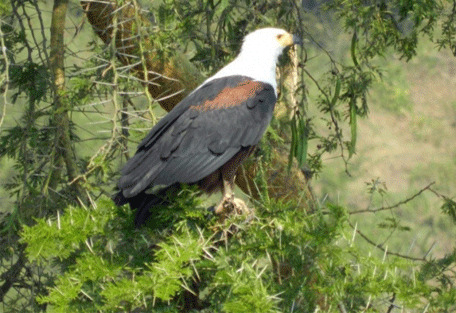 It enjoys the beautiful backdrop of the Rwenzori Mountain Range and houses diverse ecosystems, which include rolling savannah, tree-filled forests, glistening lakes and fertile wetlands. 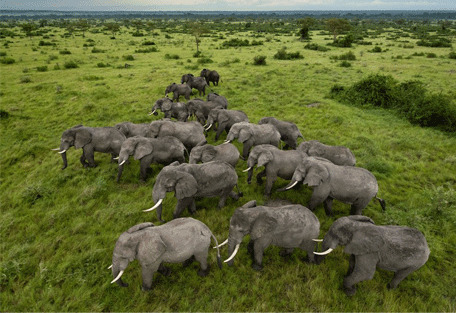 QENP is renowned for its wildlife, which, after being badly destroyed by poaching, has been revived to thriving numbers and is now well-protected. Hippos, elephants, leopards, lions and chimpanzees are among the highlights, but by no means are they the only species found in this park. 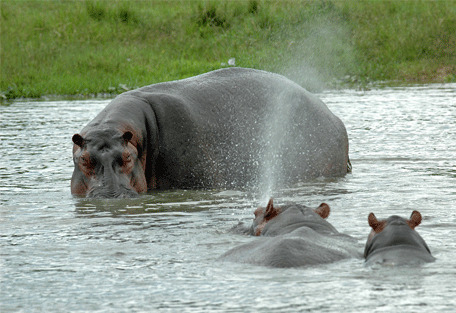 QENP is home to 95 mammal species and over 600 bird species, which makes it a top birding and game destination. Beautiful volcanic features of peaks and craters fill the landscape, while their crater lakes are economically extracted for salt. This park was initially established in 1952 after animals and people were being separated due to a sleeping sickness that took over the country. At this time, this park combined with Lake George and Lake Edward Game Reserves and gazetted as Kazinga NP. In 1954, Queen Elizabeth II visited the country and the Kazinga was renamed in her honour, becoming the QENP we know. However, during the notorious reign of Idi Amin, it was again renamed Ruwenzori National Park, but this didn't last long and the park once again took on the name of the Queen. Among its wildlife fame, QENP hosts superb chimpanzee trekking excursions. 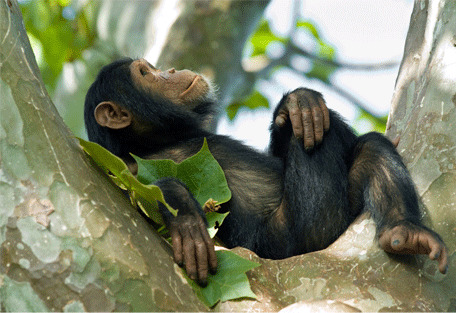 The Kyumbura gorge, which is 16km long and 100m deep, is home to the only habituated troop of chimps in Uganda. The Rwenzori Mountains are also known as the Mountains of the Moon due to their almighty peaks that reach over 5000m. The highest peaks are snow-capped all year round. Mweya Safari Lodge is surrounded by the Rwenzori Mountains in the Queen Elizabeth National Park, Uganda. 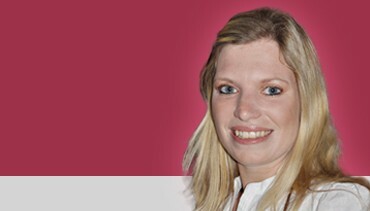 The lodge offers four sorts of accommodation and offers a range of activities to enjoy. 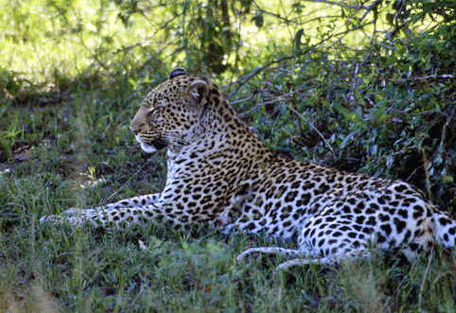 Jacana Safari Lodge is situated in the Maramagambo Forest of Uganda. 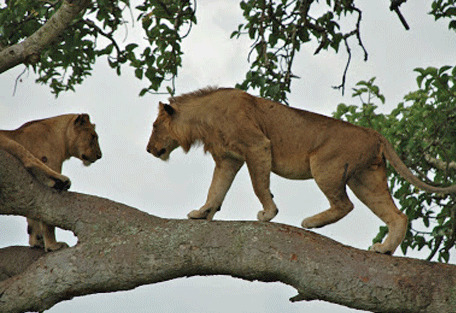 Guests can look forward to beautiful sightings of various birdlife and wildlife, especially the tree climbing lions. 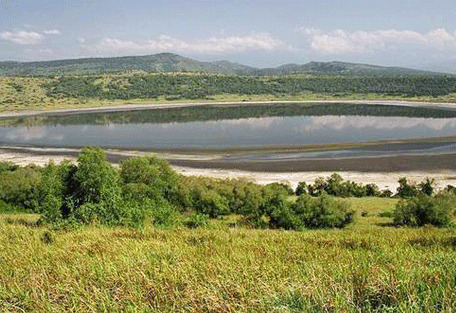 Queen Elizabeth National Park is set against the backdrop of Rwenzori Mountains and is renowned for its dramatic volcanoes and crater lakes, such as Lake Katwe. Salt mining at Lake Katwe is famous throughout East Africa; its lake floor is 0.8m thick with salt and there has been 7 tonnes of salt produced per hour for over 30 years. 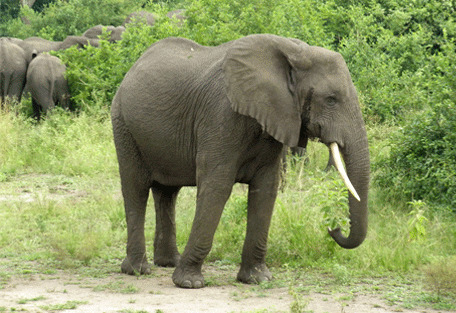 QENP supports a wide variety of wildlife and is certainly the most popularly visited park in Uganda. 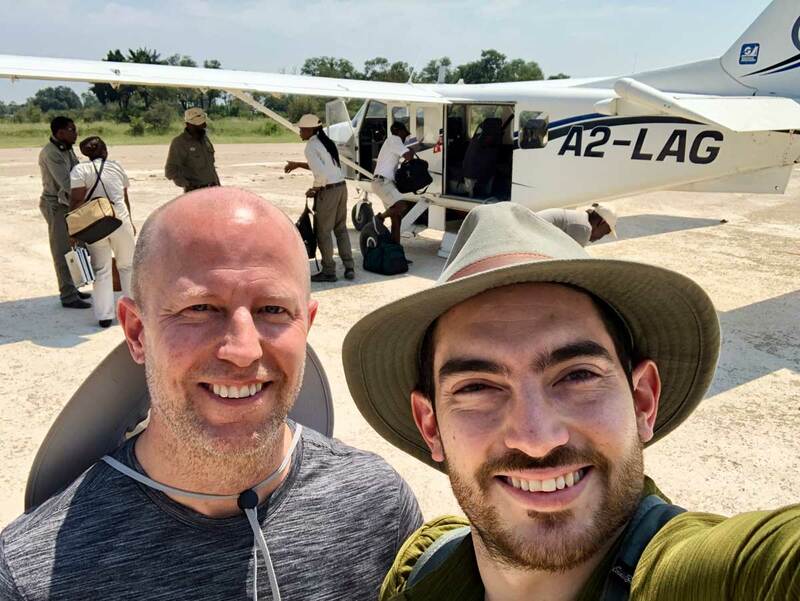 Guests come here to discover the jagged, volcanic landscape dripping in rainforest; to spot the 600 species of birds flitting about the trees; to observe the black-maned lions known for climbing trees. There are over 10 species of primate dwelling in the park and the river channels are occupied by hippo, buffalo and elephant. 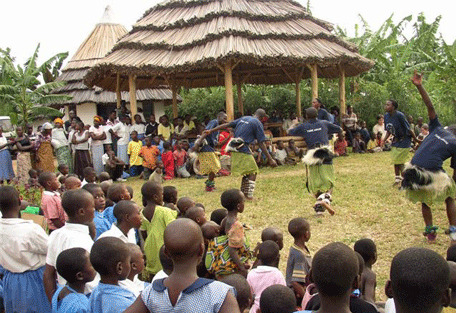 A cultural exchange project runs in QENP, which aims to support conservation through empowering local communities. Visitors can enjoy and learn about local traditions through story-telling, dancing, music and more. 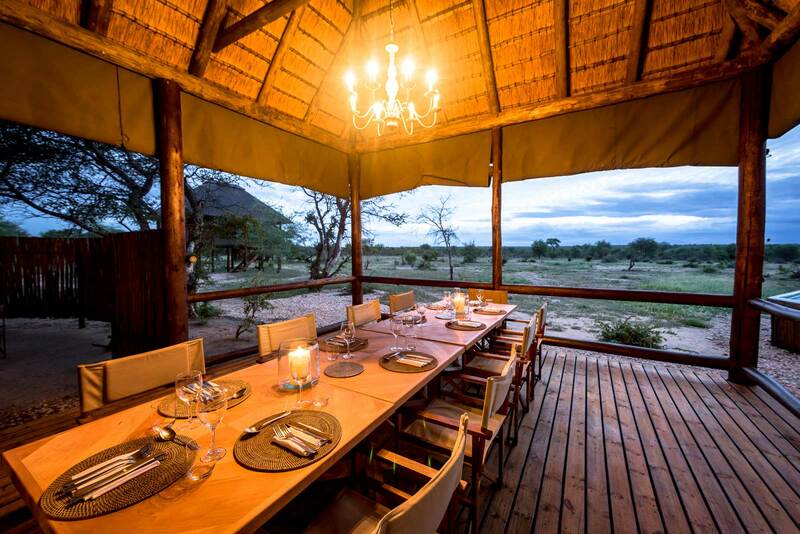 Ishasha Wilderness Camp is an eco-friendly property situated in the southern Ishasha sector. 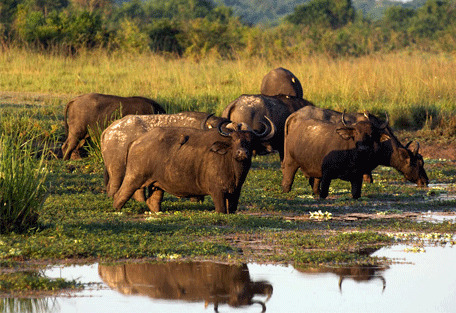 It rests along the Ntungwe River and is an ideal place to visit for guests enthusiastic about wilderness. 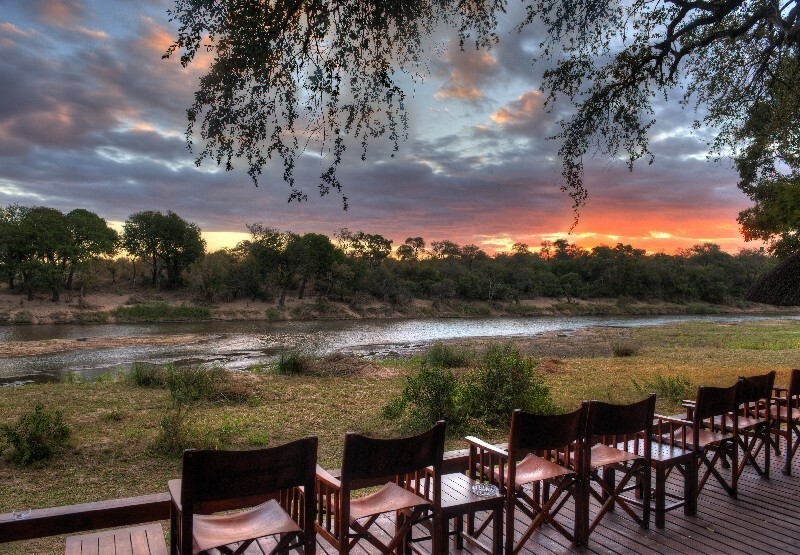 Ishasha Wilderness Camp consists of ten eco-friendly canvas tents dotted along the river. 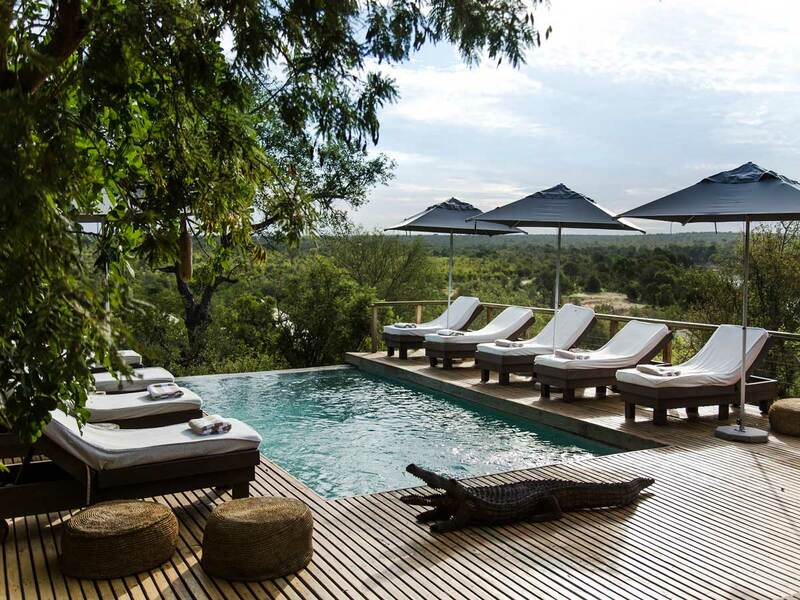 Jacana Safari Lodge is situated in the Maramagambo Forest at the edge of the Crater Lake. Accommodation is built in a luxury tree-house style using natural resources, including rock and timber, to blend in with the lodge’s natural surroundings. Mweya Safari Lodge offers breath-taking views of the Kazinga Channel, a dominant feature in the park. There is a variety of accommodation on offer, including standard rooms, deluxe rooms, suites, tents & cottages. 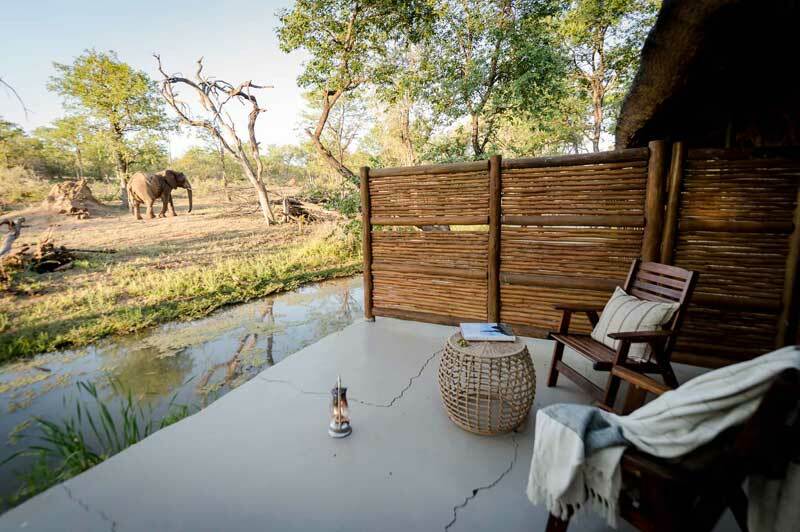 The rooms offer guests views of wildlife and surroundings.